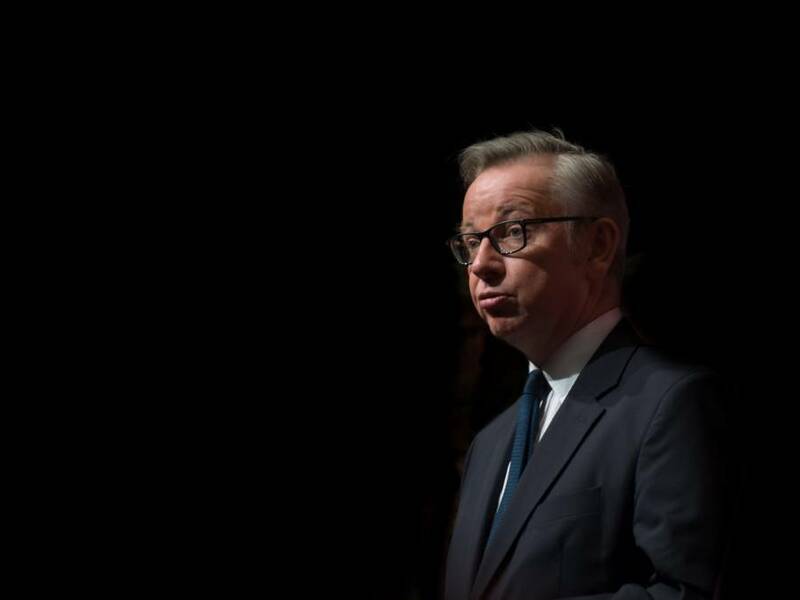 Michael Gove has called the CAP "fundamentally flawed"
In a speech to the Oxford Farming Conference on Thursday (4 January), Gove reiterated his 'green Brexit' pledge to the farming industry. Under it, farmers will be rewarded for planting wildlife habitats, woods, wildflower meadows and other environmental benefits after Britain leaves the European Union in March 2019. The government plans to guarantee that BPS payments will continue for a transition period in England, which should last a number of years beyond the implementation period, depending on consultation. The implementation period is expected to start in March 2019 and end around 2 years later. He set out plans to scrap the EU's Common Agricultural Policy (CAP), which he has previously said 'environmentally damaging and socially unjust'. Gove told the conference that the current subsidy system is "fundamentally flawed". He told the conference: "Paying landowners for the amount of agricultural land they have is unjust, inefficient and drives perverse outcomes. It gives the most from the public purse to those who have the most private wealth." He said that the government will instead replace the CAP with a system that delivers government subsidies to farms that boost the natural environment. “I want to develop a new method of providing financial support for farmers which moves away from subsidies for inefficiency to public money for public goods,” he said. Gove added that CAP “perversely” rewards farmers for “sticking to methods of production that are resource-inefficient”. He also explained that it “incentivises an approach to environmental stewardship which is all about mathematically precise field margins and not ecologically healthy landscapes”. Gove has overseen hardline environmental policies in his 7 months as Defra Secretary which have irked the industry, including plans to introduce CCTV in all slaughterhouses, a pledge to ban neonicotinoids, possible action on restricting live exports and the reintroduction of beavers in the UK. He also warned in October that the UK is 30 to 40 years away from “the fundamental eradication of soil fertility”. But the farming industry has raised concerns and doubts over his commitment to a 'green Brexit', one which focuses on animal welfare and the environment over food production. Reacting to today's announcement, NFU Vice President Guy Smith posted on social media: "Britain could increasingly import its food needs from places where they are deforesting. We need to find a properly thought through balance." And in the NFU President's New Year message, Meurig Raymond said that it is seen as "more important than ever" that the government recognises the work of British farmers in providing food, maintaining Britain's farmed landscape and contributing billions to the economy. "Three cornerstones – environment, productivity and volatility – which we believe should form the basis of bold and ambitious future policy measures," he said. The government will release further information on post-Brexit agricultural plans in Spring.